What is the Difference Between Fraud and Embezzlement? I found the Law Office of attorney Shane Jennings through Yelp reviews and recommended it to my brother who needed a representative in New Mexico's Alamogordo Magistrate. My brother was a truck driver, lived in NY and couldn't personally appear for the non jury trial. Attorney's office submitted waivers of appearance and arraignment on my brother's behalf and he didn't need to appear in person. In the end the case was dismissed. This was our first experience with legal system in US and I am glad that attorney Jennings was there to help us, and made the whole experience as smooth and stress-free as possible. These attorneys are awesome. I had a very complicated criminal case that could’ve gotten me some serious time if it wasn’t for this attorneys office getting everything dismissed. Unlike other offices, their is always someone in the office to answer the phone to give you an update on your case. Which made me feel very secure when I sent them my money considering I live several states away. They are very nice, but even more importantly, knowledgeable and aggressive with the courts. Finally a weight lifted off my shoulders. I can’t thank them enough. These are the guys you want and need by your side when it comes to the justice system, without a doubt! Shane and his great staff are so helpful and friendly. I was referred to his firm from another very satisfied client of his. I needed help to complete the process of obtaining a visa to bring my wife here from the Philippines. Unlike many other law firms, they made my wife and I feel like family and explained things to us every step of the way. With their great knowledge of the information and forms to be sent and processed we were very pleased to have each step approved and processed so much quicker than others we had learned of from the internet. My wife was approved, received her visa, and is here with me in America! We are both so grateful to Shane and his staff for handling our visa process with such care for every detail. We would highly recommend his firm to anyone needing expert representation from a firm that cares about you as if you were family.Thank you To Shane and Mine Jennings and your Great staff !!! Thank you so much. I don't have much attorney experience. But your work was just brilliant. Best ever. Great Service and affordable. Got my DWI case dismissed in 5 months. Highly recommended!! Attorney Shane is simply the best and I highly recommend him for all your legal needs. Humble, knowledgeable, personable and hardworking. He went above and beyond to help our loved one avoid being extradited back to another state that has a warrant for him. He convinced the judges of both states to let our loved one be let out on a bail and also went on our behalf to bail our loved one out for us because we live out of state. His price is affordable for a very high quality of work. The office staff is friendly, courteous, responsive and professional. He truly cares for his client- still checking in on our loved one after his release and will also help our loved one find a lawyer in the state that has a warrant for him to address the underlying issue. A true blessing especially in times of desperation! Am very grateful and blessed to have found attorney Shane! I am a Commercial Truck Driver, I was Southbound on the I-25 late one night and at the end of my shift. I was tired and I was driving slow, Just trying to make my way to Las Cruces to shut down for the night. Unfortunately, They have a speed trap set up on the I-25 about 12 miles north of Las Cruces and to make matters worse the officer only seem targets Truckers. I know this because my dashcam shows a driver coming out of the 55 zone who was probably doing 80 or 90 mph. at the exact moment that I passed through the speed trap ( The guy sped away freely) the officer got me for going 65 in a 55.Shane got my ticket dismissed and I didn't even have to go to court. Hope, his secretary called me and told me my ticket was dismissed. I was in a hopeless situation My case was difficult and not only did this law office take my case, they also did it at an affordable price. They really worked hard and a few days before going to trial, my case was dismissed! I am very grateful for the attorney and his kind staff. I gained so much knowledge through this process. There was always someone to answer the phones and provide information. My situation was difficult yet they took my case and was able to assist me during this stressful time. I highly recommend this office. I had a terrific experience with the law office of Shane Jennings! I was really in a bind and needed someone who would fight for me. I did not feel neglected by any means. I was very comfortable upon my first visit to the office. They got my warrant lifted and got permission from the judge for me to not have to appear at any pre-trial appearances. When I went to court the advice that they gave to me and the actions they told me to take lead me to get my case dismissed. I could not be happier with the results from choosing them for representation. If you want someone who is really a fighter and will really fight for you I strongly suggest hiring them to represent you. Got arrested for a DWI? Criminal law is a complex creature. There are many different areas and many of them have overlapping definitions, punishments, and legalities. Two commonly confused crimes are fraud and embezzlement. While similar, they have a lot of important differences that will affect how the case is handled should you be charged with either crime. Our fraud and embezzlement lawyer breaks it down for you. Embezzlement is actually a kind of fraud, financially speaking. When someone commits embezzlement, they mishandle someone’s assets or money. It is different from theft because the act of theft involves taking valuables for their own benefit while with embezzlement, the person is already in possession of these items and then misuses them. An example is charging someone for a product and failing to deliver said product. Fraud, on the other hand, is a little broader. When someone commits fraud, they are purposefully lying about a product or service to someone. They may lie about the risks of using said products or services, the intended outcome, and more, which could lead to harm, loss of money, and more to the people who fall victim to this crime. What if I’m Charged With Fraud or Embezzlement (Or Both)? Both fraud and embezzlement can be charged as either a civil or criminal offense. Civil offenses tend to result in compensational punishments while criminal charges can lead to either compensational punishments or jail time. If you’re charged with this kind of crime, your best bet is to work with a fraud and embezzlement lawyer who is familiar with the industry and can help you navigate the legal aftermath. A fraud and embezzlement lawyer knows the language and laws and can represent you in a court of law should you be charged with this kind of crime. Call the Law Office of W. Shane Jennings Today! 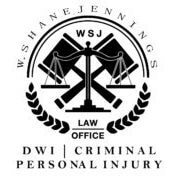 If you’re in need of a caring, hardworking fraud and embezzlement lawyer, the Law Office of W. Shane Jennings is the place to call. We represent clients who are dealing with the aftermath of being charged with such a crime. We can put our knowledge and experience into helping you navigate the legalities of being charged. If you’re in need of help, we’re ready and able to assist you. Don’t wait. Give us a call today to learn more about our services and how we can help you. 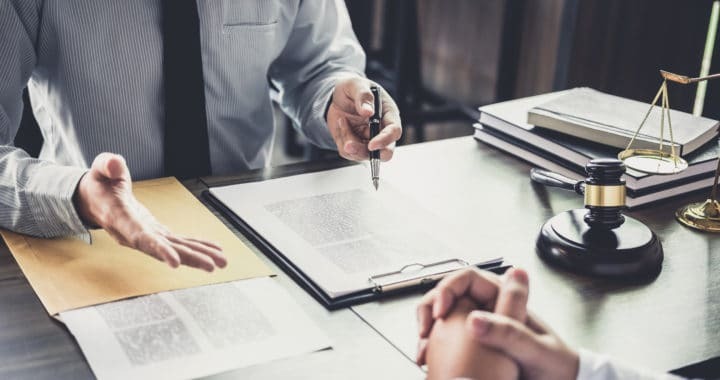 Posted in fraud and embezzlement lawyer, New Mexico and tagged embezzlement lawyer, embezzlement lawyer in new mexico, fraud and embezzlement lawyer, fraud lawyer, fraud lawyer in new mexico, lawyer in new mexico. Mon – Fri: 8 a.m. – 6 p.m.
Saturday: 10:30 a.m. – 12:30 p.m.
© 2019 The Law Office of W. Shane Jennings. Content, including images, displayed on this website is protected by copyright laws. Downloading, republication, retransmission or reproduction of content on this website is strictly prohibited.